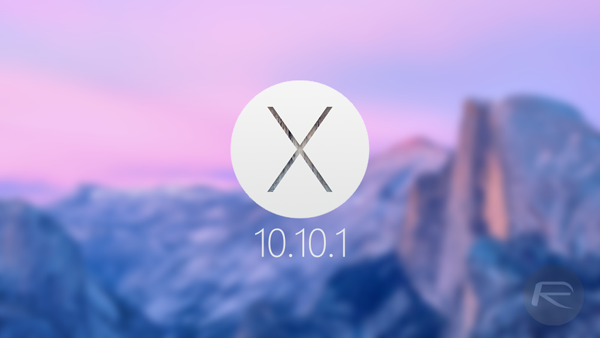 Apple has finally released OS X 10.10.1 Yosemite for Mac users, and the update predictably addresses all those painful Wi-Fi bugs that some users have been facing for a while. Apple also released iOS 8.1.1 download for its mobile devices alongside the Yosemite update. OS X Yosemite remains to be Apple’s most major OS release to date which brings with it quite a lot of new stuff to the table when compared to earlier versions of the Cupertino’s desktop OS, bringing in some smashing features like Continuity, Handoff and more. However, the big release had its own share of issues, and soon complaints started popping up from Mac users around the Internet. Luckily, Apple has finally taken the step to iron out all these bugs by releasing the OS X 10.10.1 update, which is available for users immediately from the Mac App Store. All users who were affected by that infamous Wi-Fi bug wreaking havoc on their Mac’s Internet connectivity can finally breathe a sigh of relief. 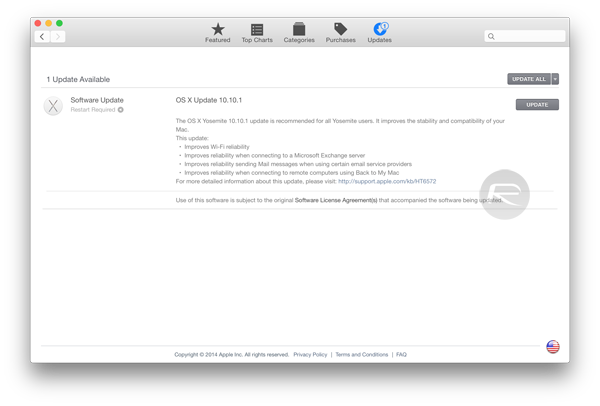 According to Apple, "The OS X Yosemite v10.10.1 Update improves the stability, compatibility, and security of your Mac." The Cupertino based company makes it clear that Wi-Fi reliability has been improved, so in essence, no more disconnections or Internet speed issues. Interestingly, Apple has made no mention of the Bluetooth issues users had been encountering where a Mac won’t allow pairing with other devices, and on occasions simply won’t detect them at all. Hopefully the update does fix that, though without that in the changelog, we’re not sure what to make of it. Other improvements include, more reliable connectivity to Microsoft Exchange server and remote computers using ‘Back to My Mac’. If you ever had issues with Notification Center not retaining its settings after a restart, then that issue has been resolved, along with the non-availability of sharing services, Notification Center, widgets and actions. Apple has thrown in some updates to Yosemite for enterprise users as well. To update your Mac to the latest release of Yosemite, simply launch the Mac App Store, click on the ‘Updates’ tab on the top, and then click on UPDATE ALL on the top right-hand corner. Same problems with wifi after this update!!!! Try to change your router’s channel mode from N to G’only. Or from 5 ghz to 2.4 ghz. This is most probably gonna solve your wi-fi issues. Bluetooth issues prevail. Choppy sound and unneeded lag over bluetooth. Please fix the battery issues! Nearly all (early) Macbook Pro Retinas are having since the upgrade. Battery has go down from 6 hours to 2.5hours! Google is littered with people having these issues, why has the news not spread still to websites?